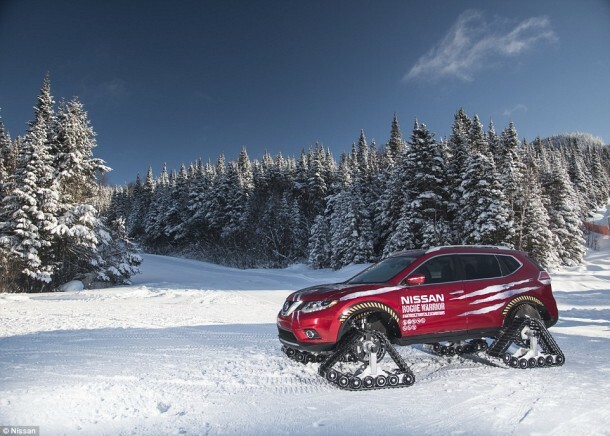 Meet, Nissan’s The Rogue Warrior this is a prototype has been designed to tackle even the harshest of winter conditions. 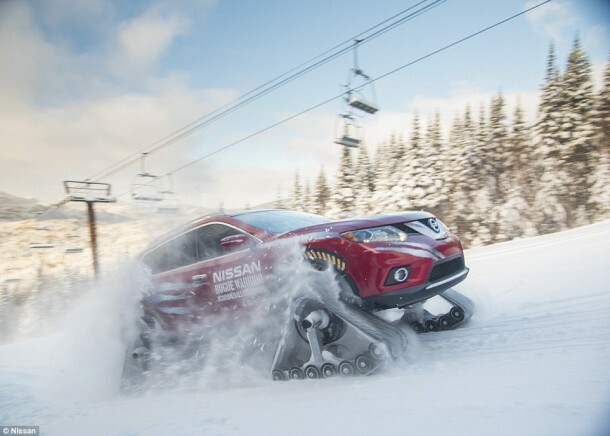 The Rogue Warrior has heavy-duty triangular snow tracks beneath it with each being about 3’ high and thus, allowing the prototype to climb ski slopes up to a 45 degree inclination. It was modified by the Quebec-based Motorsport in Action and has been specifically designed to conquer snow. It used Nissan Rogue – the highest selling model of company in Canada – as the basis of design and upgraded it so that the Warrior is able to tackle a number of environments. 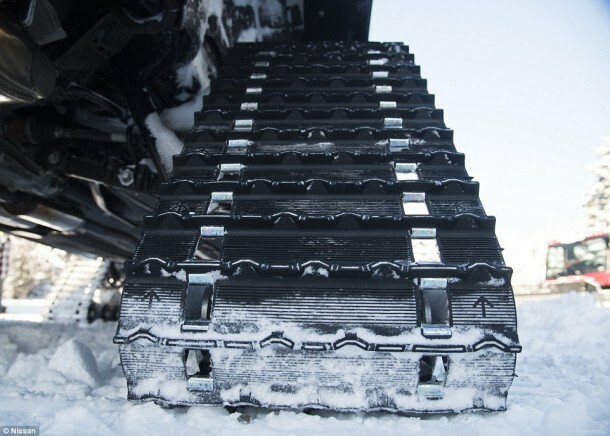 However, owing to the snow tracks that sport a length of 48 inches each and a width of 15 inches, the Warrior is best suited for snow. 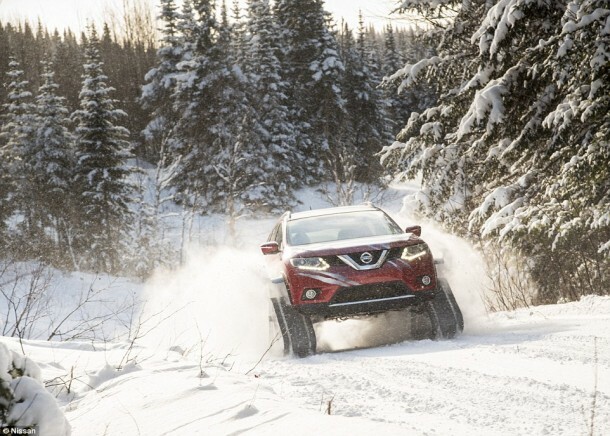 Nissan has stated that the Rogue Warrior is the next installment of company’s ‘Conquer All Conditions’ crusade. It makes use of the Dominator track system from American Track Truck in collaboration with adjustments to suspension, slight tunings in the body and application of custom snow guards to impart differences from the standard rogue. It uses Xtronic transmission and all-wheel drivetrain. It can reach a top speed of 60mph and is capable of scaling a snowy incline with a 23” ground clearance. The prototype can only be driven by an expert and 2015 Micra Cup champion Olivier Bédard has taken the task. In the video, the truck climbs a 30-degree slope at a ski resort in northern Quebec. Steve Rhind, director of marketing at Nissan Canada said, “In the automotive industry, it’s the norm to develop a prototype and show it to the world through photos or a static auto show display, but with the Rogue Warrior—we had to do something more.